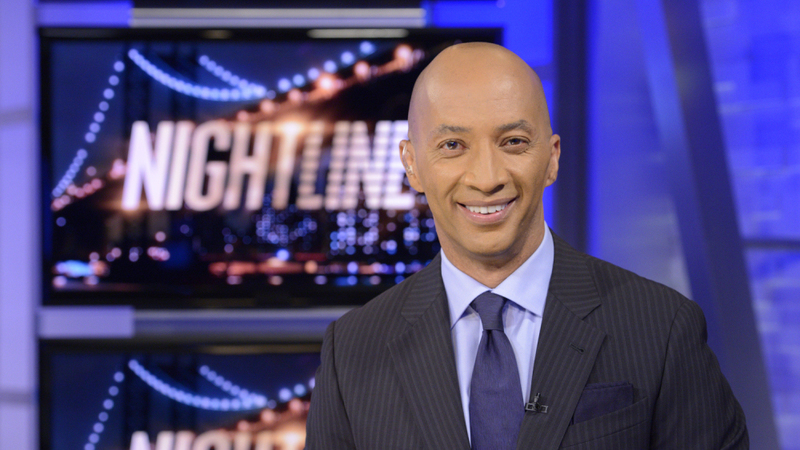 Byron Pitts is an American writer and journalist working for ABC News and currently working as a co-anchor in ABC News' late-night news program Nightline. Until 2013, he was the national chief correspondent for The CBS Evening News and a contributor to the 60 Minutes news magazine. The resident of United States, Byron Pitts, reportedly earns around in the range of $99K to $106K, as his yearly salary from the network, and as of 2018, he reportedly has an estimated net worth of over $5 million. He is happily married to his wife, Lyne Pitts and has 3 children with her. Byron Pitts was born on October 21, 1960, in Baltimore, Maryland, the U.S to parents William Pitts and Clarice. He holds an American nationality and belongs to Mixed ethnic group. In addition, the details about his siblings are not available in the media yet. He attended Archbishop Curley High School, a Catholic high school for boys in Baltimore. He went on to the Ohio Wesleyan University but spent summers in Apex, North Carolina. He graduated with a Bachelor of Arts in Journalism and Speech Communication in 1982. Byron has contributed in a number of channels throughout his career. He is also regarded as one of the well-paid ABC channel journalists. As an American journalist and author, Byron Pitts has an estimated net worth of $5 million. However, in comparison to other American journalists such as Nancy Cordes, Lisa Salters, and others, Byron earns a significant amount of money through his journalism career. And as an ABC network reporter, his salary must be in the range of $99 K to $106K. Previously, he also worked for CBS Network as a chief national correspondent for The CBS Evening News. Likewise, CBS News journalist's estimated salary is $70,000 and we are pretty sure that Byron has managed to collect a decent amount of money from CBS Network. Pitts always wanted to be a reporter. Since he was 18 years old, his goal was to be a CBS correspondent for 60 minutes. After working for several TV stations, he finally made a significant step in his journalism career, joining CBS Network in 1997. He joined CBS Network as a Correspondent for CBS Newspath, the 24-hour affiliate news service. Later, He was appointed correspondent for CBS News in May 1998 and was based in the offices of Miami( 1998- 99) and Atlanta( 1999- 2001) and eventually in New York City in January 2001. Pitts was one of the lead reporters of CBS News during the attacks of September 11 and won a national Emmy Award for his coverage. He was recognized as an embedded reporter covering the Iraq War within minutes of the fall of the statue of Saddam Hussein, working under fire. Other major stories covered by Pitts include Hurricane Katrina, the war in Afghanistan, the military buildup in Kuwait, the fires in Florida, the story of Elian Gonzalez, the presidential story of Florida, the Central American mudslides and the refugee crisis in Kosovo. Other awards include the Emmy National Award for covering the Chicago train wreck in 1999 and the Black Journalists Association Award( 2002). He also has earned four Associated Press Awards and six Emmy regional awards. In March 2013, Pitts departed from CBS News and is currently working on ABC News, working as a co-anchor in a late-night news program Nightline. Byron Pitts has been married to Lyne Pitts for a long time. The exact date of their marriage, however, remains unknown. The duo has three children, Christiani Pitts, Brittni Pitts, and Angela Pitts respectively. Pure joy. My youngest graduated college today. So proud of her. Go Noles!!! Byron regularly mentions his family, wife and his children in the social media. Further, he also spends quality time with his family and friends.